Easy to move floor mounted tube stand and motorized detector stand movement help improve productivity and optimize workflow. The traditional floor mounted tube stand means no complicated learning curve for techologists. 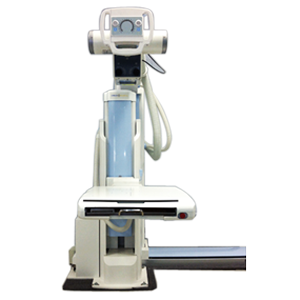 Mobile table with 500 pound patient capacity provides a full-featured system with maximum imaging capability and flexibility. Compatible with CR or DR and customizable with any power generator, the FRS can be configured for the needs of any facility.